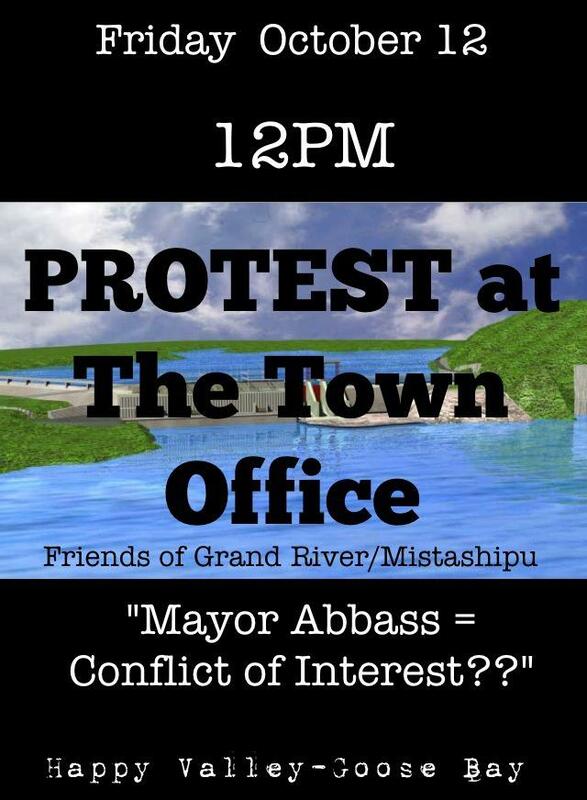 Friends of Grand River/Mistashipu (FOGR/M) have requested that Mayor Abbass and the Town Council of Happy Valley-Goose Bay hold a public meeting to explain to its residents how there is no conflict of interest in relation to the mayor’s various positions. In addition to Mayor Abbass’s appointment to Nalcor’s Board, he has also publicly taken the stand with Peter Woodward’s pro Muskrat Falls business group. We at FOGR/M are concerned about the adjacency principle and lack of consultation since the mayor’s appointment to these groups. We are further concerned about how all residents are being represented as plans move forward. Many of us in FOGR/M are residents of Happy Valley-Goose Bay and do not feel represented, consulted, or considered as he takes such a vocal public stand for the project. FOGR/M will be continuing protests at the town office until we feel these concerns are being publicly addressed. A letter will also be presented to the Town Council on October 12, 2012 requesting the same. It is our position that a well-advertised public meeting called by the town council would give ample opportunity for all residents to come and understand how these various positions do not put the mayor and town council in a conflict of interest in representing all of the electorate. Friends of Grand River/Mistashipu believe in a common mission, to protect and preserve all Labrador Rivers, including our efforts to Save Muskrat Falls! FOGR/M believe this government proposed megaproject to create a hydroelectric dam at Muskrat Falls that will eventually lead to potentially damming of other Labrador rivers is wrong, our reasons are varied, still the end decision the same - it is not a healthy project for anyone involved. FOGR/M are committed to stopping it! Search us on Facebook for more information. 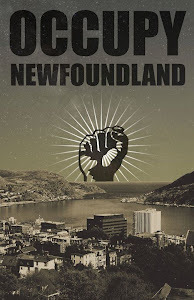 to join us in protest of the Muskrat Falls Hydro Project. We are all aware that Happy Valley-Goose Bay Mayor Leo Abbass is now a NALCOR Board Member, and we'd like to hear from him and how Labrador and his community is going to benefit from this project in the long run? How is he looking out for the interests of the Labradorians and residents who elected him? And why has he made no public presentations to inform us of why he's on this board, what this project will mean to all of us, and will he allow us any input at all as this moves forward!? 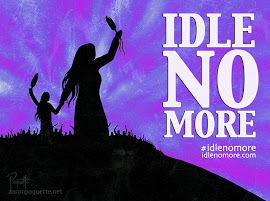 If protesters in PEI can stop construction on a project they oppose, so can Labradorians with Muskrat Falls! "NunatuKavut Community Council holding protest today at gate to Muskrat Falls construction site"
"Nalcor Energy is going to create an area for people to protest the Lower Churchill development, near the Crown corporation’s construction site at Muskrat Falls."